This special commission was to create the official chair, awarded as the poetry prize for the winning Bard at The National Eisteddfod of Wales 2012. It was a fantastic opportunity to explore ideas and techniques around this year’s festival theme of The Flow of the Tide. 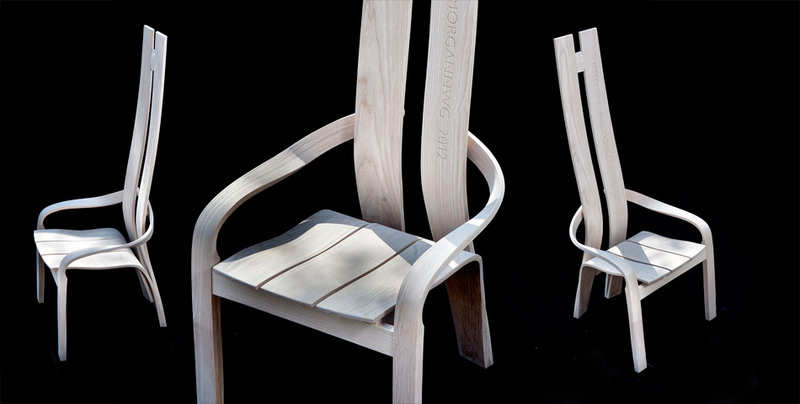 The chair was designed over a three month period during which the design approach was based on that of writing a poem. 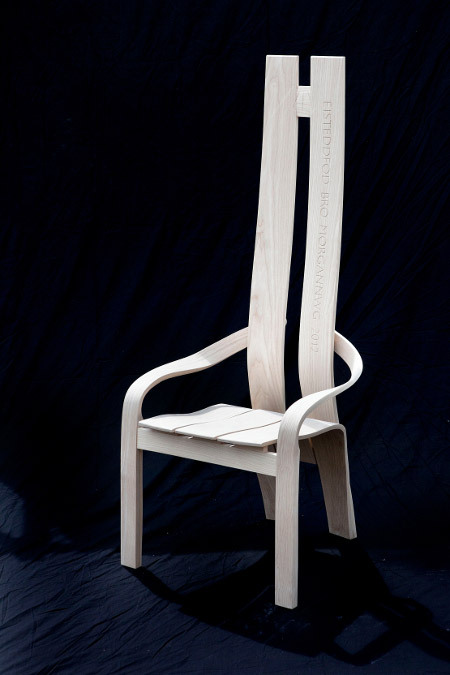 Just as a poet seeks to make connections between words and phrases and in so doing creating different meanings and overall effect, so the components of the chair would combine to form a piece of unique furniture. By rooting the form of the chair within the process and context of a poem, the piece is inspired by and, in turn, has become an inspiration for, the Eisteddfod tradition it helps to celebrate. For the Eisteddfod Chair, the flow starts from the floor, comes up through the leg, continues through the arm and up into the back. 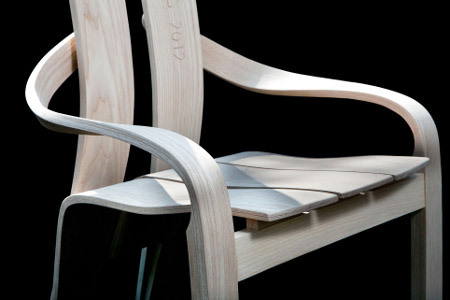 By twisting and bending the wood into shape using steaming and laminating techniques, it makes a very slender, lightweight but strong piece of furniture. The making of the Eisteddfod Chair.